/ Customised, 360° transport and logistics solutions, respectful of our Customers, People and the Planet. We are committed to continually improve the environmental performance of the entire supply chain. 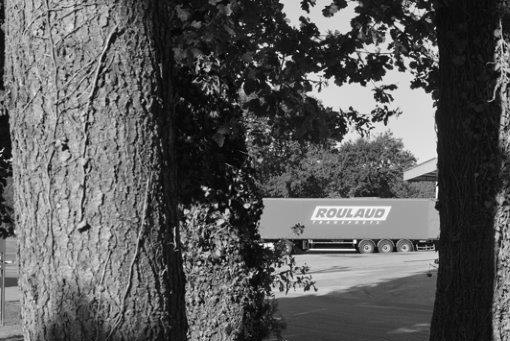 ROULAUD TRANSPORTS is committed to the continuous improvement of the environmental footprint of logistics and transport. Sustainable development has been part of our strategy since 2010. We are proud to be at the forefront of improving the environmental performance of transportation and have established strict environmental management standards for our logistics site. 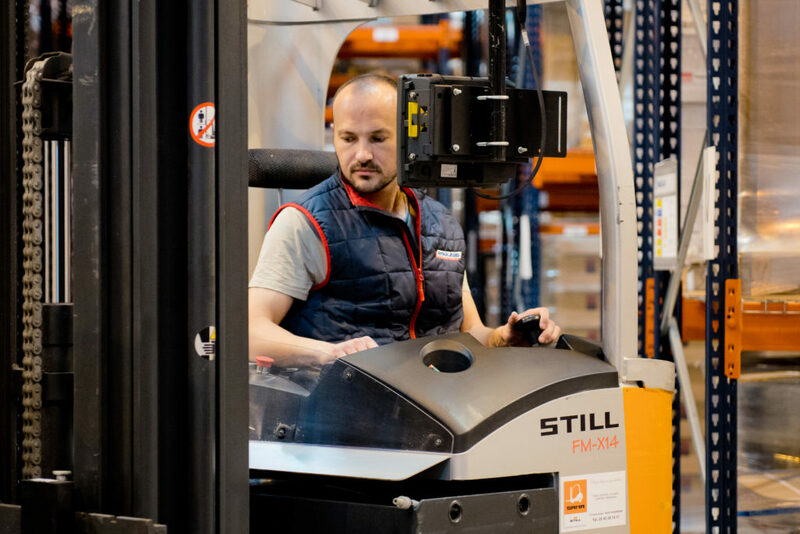 We measure and monitor our activities, including our progress in reducing CO₂ emissions from transportation and in waste management in our logistics platforms – as well as the ongoing training of our people. We have equipped 100% of our fleet with an automatic navigation system by geolocation (Transics/Wabco). We estimate that this type of navigation system can cut CO2 emissions by 17% by reducing unnecessary travel. This amounts to 2,645 tonnes of CO2 avoided. We train all our drivers in eco-driving. This aims to reduce engine wear and tear and to cut fuel consumption by 9% in 7 years. Our training program includes annual performance tests. These results made us the 1st company in the Limousin département and the 33rd nationwide to receive the label. We are committed to reducing the carbon footprint and overall environmental impact of our trucks. We have two objectives: the continuous improvement of CO2 indicators in transport and constant innovation to implement the best emission reduction solutions. 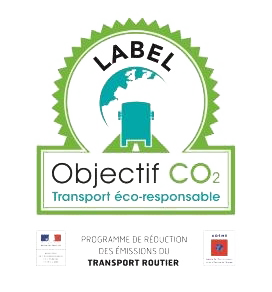 We are certified “Objectif CO2“. This program is a charter of voluntary commitments to reduce Greenhouse Gas (GHG) emissions, combined with a labeling process. It is proposed by the Ministry of Ecological Transition and Solidarity, the Ministry of Transport and ADEME in partnership with professional road transport organisations (FNTR, FNTV, OTRE, TLF and UNOSTRA). It requires us to reduce our fuel consumption and associated GHG emissions, by setting a reduction target and an action plan over a period of 3 years. A pioneer in this field, our company joined the charter in 2015. We are working on a series of measures that reflect the areas of improvement of the CO2 Charter. A high standard of environmental performance is an essential part of our approach in our logistics operations.